The coop’s annual report was released today showing a shortfall of $182,620, a big improvement from last year’s record $2.3 million deficit. That’s the second deficit in a row even after maintenance increases, with the budget for 2017-2018 showing yet another deficit looming. The coop also borrowed an additional $2 million this year. General revenue increased $1.8 million from last year, after a large maintenance increase had a full year to play out. 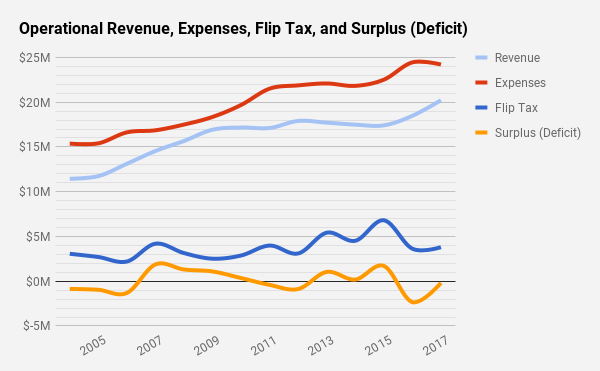 Flip taxes were essentially flat year over year.